Darrell Issa, Chairman of the House Oversight and Government Reform Committee, and one of the wealthiest members of Congress, has just announced a new website on Twitter: Oversight.House.Gov. The site is well worth exploring, from both technological, and governmental perspectives. From the technical angle, it’s a WordPress site, something that Issa is proud of: “New http://Oversight.House.Gov is built w/ @WordPress, rare for govt sites, to support fast improvements in response to your feedback.” While some in the tech community might sneer at WordPress for one reason or another, I find it somewhat heartening that Issa knows what WordPress is at all. That’s enough for me to pay attention to the man, at least. His Reddit AMA certainly didn’t hurt, either. Spent a lot of time thinking through new http://Oversight.House.Govbased on what our customers (you) actually use the site for. One user problem was legislative markups. It’s where sausage (bills) are actually made, but takes law degree to understand. To unlock legislative markups on new http://Oversight.House.Gov, rethought whole presentation. EXAMPLE: http://1.usa.gov/xk9Fpv. New http://Oversight.House.Gov legislation pages give you a color-coded key to all the votes/amendments/etc. EXAMPLE:http://1.usa.gov/xk9Fpv. So if you don’t have a law degree, you can understand how @GOPOversight bills are made. EXAMPLE: http://1.usa.gov/xk9Fpv. http://Oversight.House.Gov “hearings” get you in the room: gavel-to-gavel video, all docs/visuals, support live discussion:http://1.usa.gov/zxxzAj. Regardless of your politics, having what goes on in the capital broken down into easier to digest pieces is something that we can all enjoy. Now, despite being built on WordPress, the new Oversight website could use a strong smack with the pretty stick. That aside, I was surprised at the number of features that it contains. You can report abuse and other fraud, view the coming calendar for the committee, and dig through reports that it has produced. Will the average citizen use this? No. I doubt that the average citizen understands the bicameral nature of our Congress. However, I suspect that having this information, in one easy to access place, will be a boon to journalists. 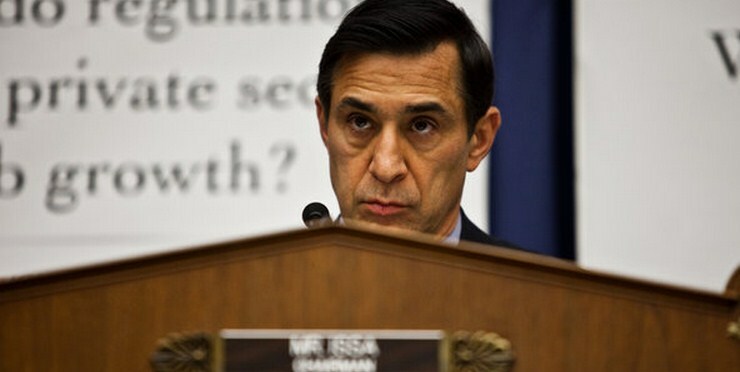 And when you think about, that’s who you would want to have in the first place, so good on Issa.